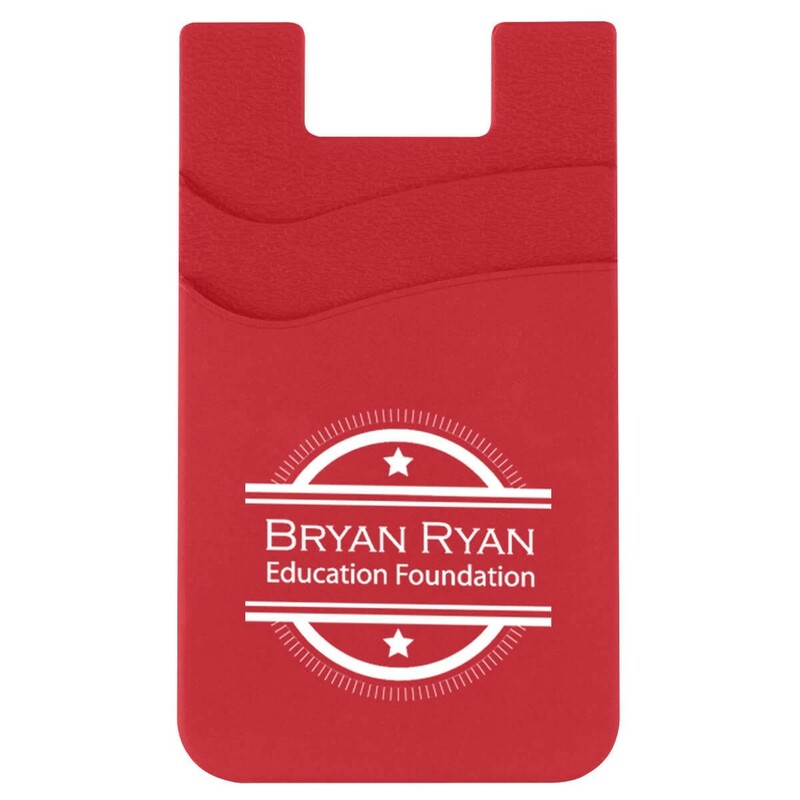 The Promotional Dual Pocket Cell Phone Wallet is customizable with your logo. 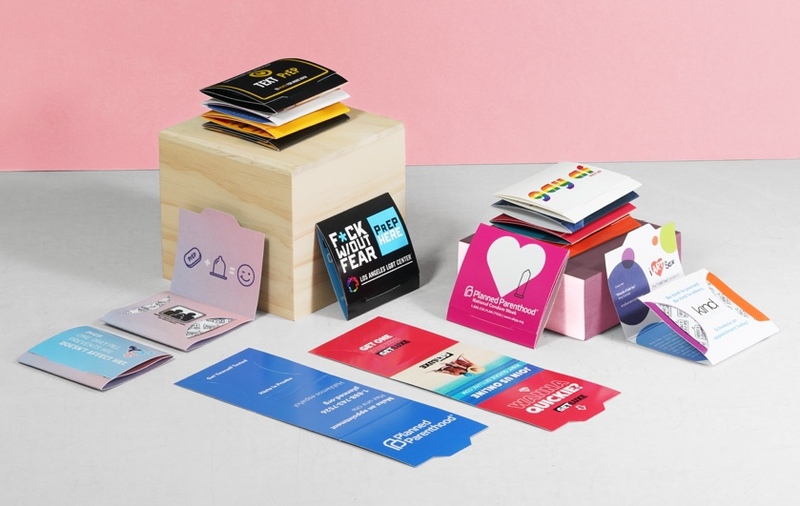 * 2 pockets to fit your credit cards, ID, or other cards. 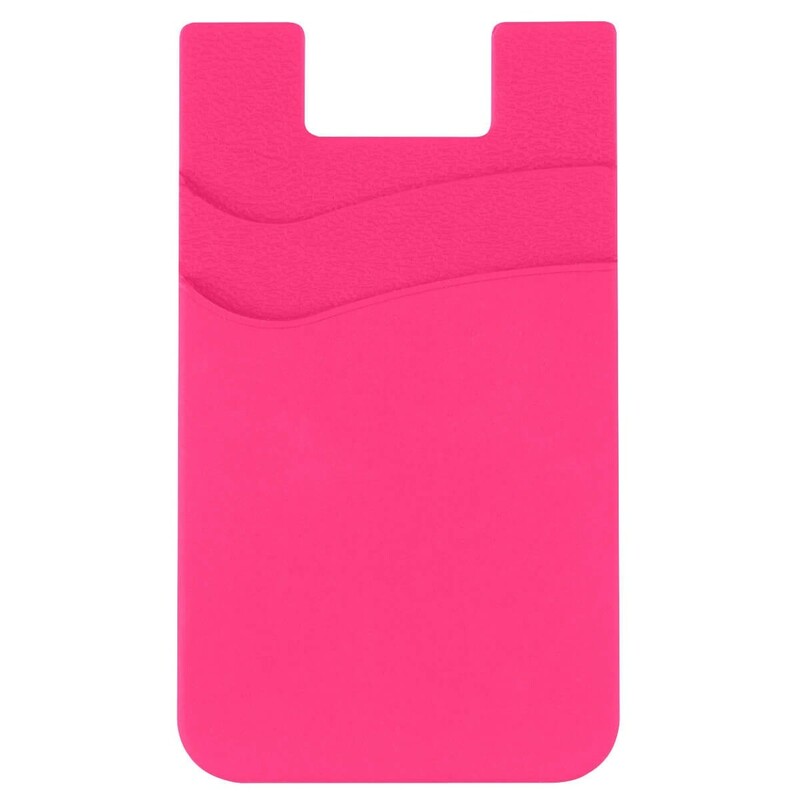 * Made of high-quality silicone. 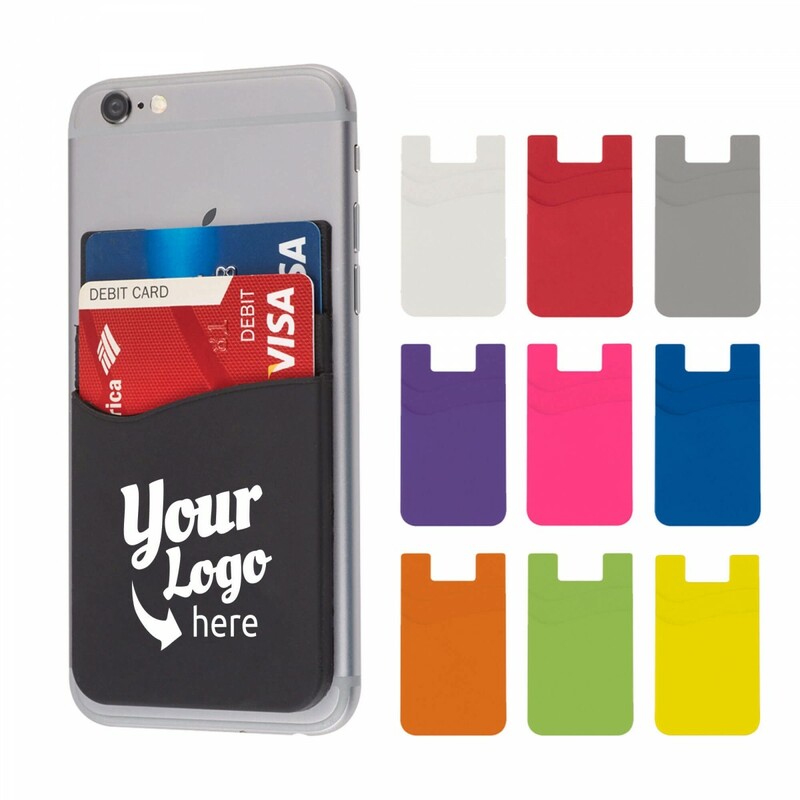 * Sturdy adhesive attaches to all types of cell phone materials.